The Reds' pursuit of Fekir collapsed but are there alternatives available for Klopp? Liverpool’s pursuit of Lyon’s captain and playmaker Nabil Fekir fell at the last hurdle, a medical at Clairefontaine-en-Yvelines training base. Talks between Liverpool’s sporting director Michael Edwards and bellicose Lyon President Jean-Michel Aulas seemed to have produced results as the Anfield club expected to officially announce the signing of their primary target this summer, Fekir, before he flew out to Russia for the FIFA World Cup 2018. According to BBC Sport, Lyon would get an initial payment € 48 Million plus add-ons up-to around € 53 Million. Fekir had agreed to a 5 year contract on € 140,000 a week. The player had already chosen his jersey and done his introductory interview for LFCTV in a Liverpool shirt with a leaked image on social media confirming as much. All that remained was for the player to pass his medical and have his dream move come true. However, this was not to be as the deal quickly fell through with social media awash with various theories as to why The Reds pulled the plug. Liverpool have remained tight lipped about the proceedings of the deal although most sources seem to agree that the deal collapsed due to concerns over the Fekir’s medical history and fee restructuring. Respected Liverpool journalist Melissa Reddy offered some insight saying that Fekir suffered a cruciate ligament tear on his right knee in late 2015 on international duty, requiring arthroscopic surgery to clean the joint in 2016 and suffered a contusion on the same area four months ago. This development caught everyone off guard with Lyon quick to issue a statement saying that talks with Liverpool had come to an end. Although there remains some slim chance of Liverpool reviving the deal after the World Cup but what next for Jurgen Klopp and Co? Here, we look at 5 alternatives that might be available for Liverpool in the transfer market. 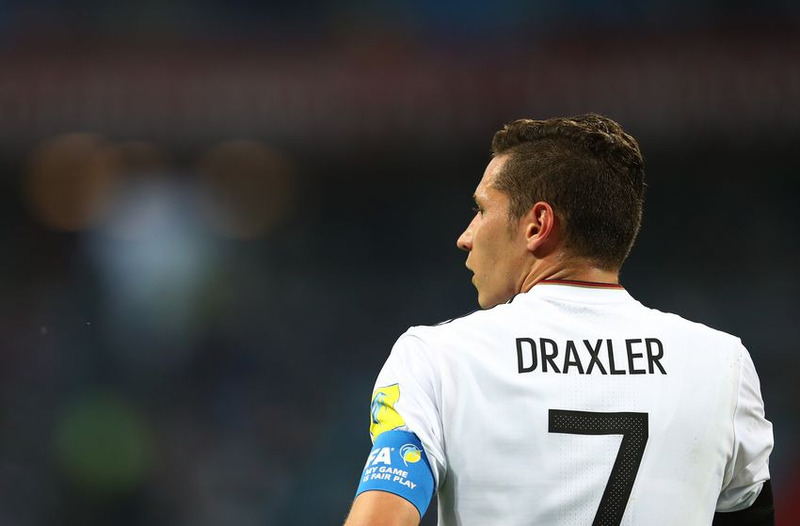 A previous Liverpool transfer target from 2017, Draxler’s time in the French capital has seen him become a bit part player. Although not a complete failure, he has been forced to play in different midfield positions. The Reds tried to sign him from Wolfsburg but high wage demands driven by PSG’s interest in the player saw Liverpool fall out of the race to acquire his signature. His future is likely to be hugely determined by the plans incoming PSG manager Thomas Tuchel has for him. Capable of playing right left wing, attacking midfielder and central midfielder, Draxler scored 4 goals and a further 5 assists on 30 Ligue 1 games which are dwarfed by Fekir’s 18 goals and 7 assists in as many games. PSG’s obligations to raise € 60 Million in sales by the end of the month to meet Financial Fair Play (FFP) Regulations make him an achievable target for Liverpool. It remains to be seen if he would be open to working with Klopp having failed to secure a regular starting position at the Parc de Princes. Thauvin is another former Liverpool transfer target from the summer of 2013 before he joined Marsaille from Lille. He has since matured since his ill-fated half-season Premier League stint that saw him score a solitary goal in the League Cup against minnows Northampton Town. Since his return to the Stade Velodrome, Thauvin has struck up a formidable partnership with Ex-West Ham United Dimitri Payet on his way to plundering in 22 goals and 12 assists in 35 Ligue 1 matches last season. He scored three goals helping Marsaille to a UEFA Europa League finals appearance losing 0-3 to Spanish side Atletico Madrid. In the process, he earned his first France call up and a place in 23 man squad representing France in this year’s FIFA World Cup in Russia. 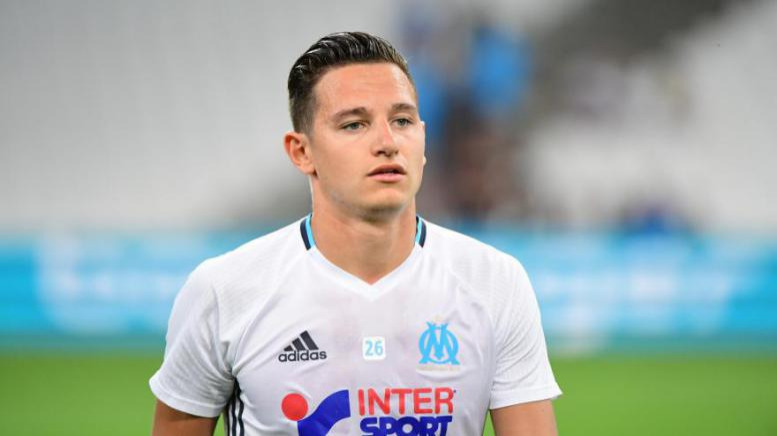 Although he faces competition from Nabil Fekir, Ousmane Dembele and Thomas Lemar, it is evident that Thauvin has developed to the player Magpies fans were promised the summer of 2015. Mainly playing down the right wing but capable of playing as a left wing and an attacking midfielder, the left footed player’s stock can only keep raising and although there might be concerns over his work rate from some quarters, his control, eye for goal and commitment in Marsaille suggest he would be a welcome addition to Liverpool. 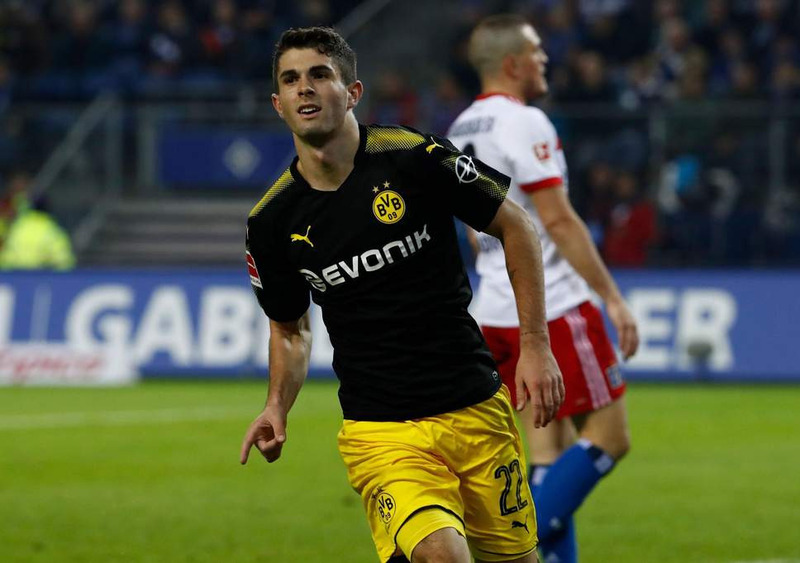 Since Jurgen Klopp lured him from Pennsylvania to Dortmund in the summer of 2015 at just 16 years, Pulisic has gone on to earn two years experience in the Champions League and seven goals in 21 international call ups. At 19, he has been left to defend the honor of a country that has failed to qualify for the World Cup for the first time since 1986. His ability to play across the forward line, create chances and dribble make him the highly rated rising star he is. However, signing him from Westfalenstadion might be difficult as Dortmund highly rate him and the bullish approach of the player’s camp to reports linking him with a move to the Premier League. His father, Mark, recently called such reports “hogwash”. Admired by Klopp, it would have been Brandt who made the switch to Merseyside last summer in place of Mohammed Salah. How Liverpool’s season would have panned out without their 44-goal Egyptian star we will never know. 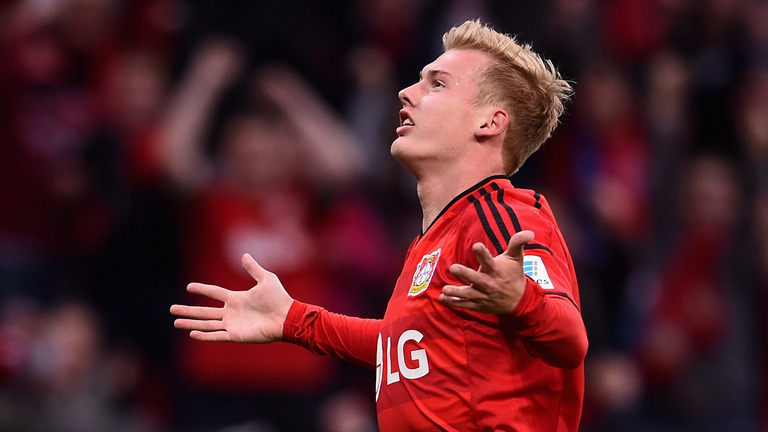 Brandt had a remarkable campaign last season which saw him sign a contract extension two months ago. Mainly playing as a left wing, the right footed Bremen native can also play a right wing or an attacking midfielder. Scoring nine goals and five assist, any move to sign him this summer would be complicated and expensive. That he was selected ahead of Man City's PFA Young Player of the Year, Leroy Sane, in Joachim Low’s World Cup squad speaks volumes about his talent and potential. This would have been Liverpool’s last summer target, Thomas Lemar’s position but he is close to signing for La Liga giants Atletico Madrid. Looking for a direct replacement for Philippe Coutinho or his would-be replacement Nabil Fekir? Look no further than this wonder kid. He might look lightweight for the physicality of the Premier League but his talent will make up for that. Born in the Netherlands but internationally representing Morocco, Ziyech has a magic left foot that is about to light up Russia. The Ajax Player of the Year starts as an attacking midfielder or a central midfielder but can also turn out as a left wing. Registering nine goals and 18 assists in 39 games last season, Ziyech is the most ideal alternative to Fekir. What’s more? He made 142 key passes, the highest number by any player in Europe’s top-flight leagues with Marseille’s Dimitri Payet a distant second making 121 key passes. A creative midfielder capable of taking on players and winning the ball up the pitch, he would be suited to Klopp’s “heavy metal” theory of football. He is also a thread from set pieces. If Klopp is to land him, he will have to fend off interest from AS Roma.